Ngawang Lobsang Gyatso (Tibetan: ངག་དབང་བློ་བཟང་རྒྱ་མཚོ་, Wylie: Ngag-dbang blo-bzang rgya-mtsho; Tibetan pronunciation: [ŋɑ̀wɑ̀ŋ lɔ́psɑ̀ŋ cɑ̀t͡só]; 1617–1682) was the 5th Dalai Lama and the first Dalai Lama to wield effective temporal and spiritual power over all Tibet. He is often referred to simply as the Great Fifth, being a key religious and temporal leader of Tibetan Buddhism and Tibet. Gyatso is credited with unifying all Tibet after a Mongol military intervention which ended a protracted era of civil wars. As an independent head of state, he established diplomatic relations with China and other regional countries and also met early European explorers. Gyatso also wrote 24 volumes' worth of scholarly and religious works on a wide range of subjects. To understand the context within which the Dalai Lama institution came to hold temporal power in Tibet during the lifetime of the 5th, it may be helpful to review not just the early life of Lobsang Gyatso but also the world into which he was born, as Künga Migyur. The child who would become the 5th Dalai Lama was born in the Chonggye Valley in Ü, south of the Yarlung Tsangpo River and about two days' journey south-east of Lhasa, to a prominent family of nobles with traditional ties to both Nyingma and Kagyu lineages. 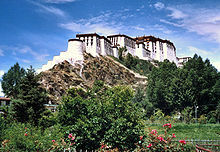 The aristocratic Zahor family into which he was born had held their seat since the 14th century at Taktsé Castle, south of Lhasa – a legendary stronghold of Tibetan kings in the days of the early empire, before Songtsen Gampo (604–650 CE) had moved his capital from there to Lhasa. The 5th Dalai Lama's father was called Dudul Rabten, the local ruler of the Chonggye valley, also known as Hor Dudül Dorjé; his mother was called Tricham, Kunga Lhadze or Kunga Lhanzi. His father had friendly relations with the Drugpa Kagyu and his mother had connections with the Jonangpa Kagyu through her family at Nakartse Dzong. Thus, after his birth on the 22nd day of the 9th month of the Fire-snake year (late 1617), Taranatha, the most remarkable scholar and exponent of the Jonang school (a.k.a. Tagten Tulku, a.k.a. Kunga Nyingpo), named the child 'Kün-ga Migyur Tobgyal Wanggi Gyalpo'. His family called him 'Künga Migyur'. The child's father, Dudul Rabten, was arrested in 1618 for his involvement in a plot to overthrow Karma Phuntsok Namgyal, leader of the Tsang hegemony. Karma Phuntsok's grandfather Zhingshak Tseten Dorje (also known as Karma Tseten) had originally been appointed Governor of Tsang by the Rinpung Prime Minister Ngawang Namgyel in 1548. Tseten Dorje had rebelled against the heirs of Ngawang Namgyel starting in 1557, eventually overthrowing the Rinpung and establishing the Tsang hegemony in 1565 by declaring himself King of Tsang. Tseten Dorje established his residence at Samdruptse castle, also called Shigatse, near the Gelug monastery of Tashilhunpo, and together with his nine sons, eventually extended the reach of his power over both of Tibet's central provinces of Ü and Tsang. The secular government of King Tseten Dorje and his descendants enjoyed general support from the Sakya, Jonang, and Kagyu schools, while maintaining somewhat tense but cordial relations with his Gelug neighbours at Tashilhunpo. Then Altan Khan, King of the Tumed Mongols, invited Drepung Monastery's abbot Sonam Gyatso to Mongolia. In 1577–78 Sonam Gyatso accepted, went there and converted him and his subjects to Buddhism, receiving the Mongolian name "Dalai" in the process by which action his lineage became known as the "Dalai Lamas" and he became the 3rd Dalai Lama. His two predecessors became known as the 1st and 2nd Dalai Lamas posthumously. The Samdruptse government saw this development as a politico-religious alliance between the Gelugpa and a foreign power. When Sonam Gyatso died, the Gelugpa recognised a Mongolian prince as his incarnation and so a Mongolian 4th Dalai Lama, Yonten Gyatso (1589–1617), was installed as the abbot of Drepung. This increased Mongolian involvement with the Gelugpa even further and enabled more Mongolian intervention in Tibetan affairs. As a result, King Tseten Dorje's suspicions about Gelugpa ambitions rose and when in 1616 the 4th Dalai Lama died young, at the age of 28, in an attempt to defeat the process the King prohibited the Gelugpa monks from searching for his incarnation. Dudul Rabten's arrest occurred at roughly the same time that his infant son had been recognized, in secret, by lamas of the Gelug order as the reincarnation of the 4th Dalai Lama, while Tashilhunpo's abbot Lobsang Chökyi Gyaltsen used diplomacy to persuade King Karma Phuntsok Namgyal to lift the ban he'd put in place on seeking out the 5th Dalai Lama. Dudul Rabten escaped his captors and tried to reach eastern Tibet, but was rearrested. Dudul Rabten died in captivity in 1626 at Samdruptse – Karma Phuntsok Namgyal's castle also known as Shigatse – and thus, he never lived to see his son again. The young 5th Dalai Lama's family were ordered by Karma Phuntsok Namgyal to live at court in Samdruptse, but his mother, Kunga Lhanzi, fearing retribution from the king, returned with her son to her family's home, Narkatse castle, in Yardrog. The infant Künga Migyur's name had been drawn, by lot, from among the names of three children considered likely candidates in a series of divination rituals including a doughball divination which was held in secret (on account of King Dorje's prohibition against seeking the 4th Dalai Lama's reincarnation) at Radeng monastery. The former 4th Dalai Lama's chief attendant, Sonam Choephel (1595–1658), is credited with having discovered the incarnation. While the Karma, Drugpa and Jonangpa Kagyu orders, (beside the Gelug group from Drepung monastery) had all independently sought to claim Künga Migyur as a reincarnation of one or another of their own lamas who'd also died in 1616, young Künga Migyur's parents reportedly resisted their demands. Lobsang Gyatso was the name which Künga Migyur received from Lobsang Chökyi Gyaltsen upon taking novice monastic ordination from him at Drepung. In 1638 when he took full ordination, also in the presence of Lobsang Chökyi Gyaltsen at the Jokhang Temple in Lhasa, Ngawang was added to his name, Ngawang Lobsang Gyatso. At this time his interest in the Nyingmapa teachings began to deepen and his devotion to the Nyingma master Zur Choying Rangdrol became somewhat conspicuous. Tashilhunpo Monastery, 1938 Tibet expedition photograph by Ernst Schäfer in German Federal Archives. Lobsang Chökyi Gyaltsen (1570–1662), the Panchen Lama and the first to be accorded this title during his lifetime, was the tutor and a close ally of the 5th Dalai Lama, who, according to Thubten Jigme Norbu and Hugh E. Richardson, declared or pronounced the Panchen to be 'an incarnation of Dhayani Buddha Amitābha' – although other sources all appear to indicate that he was considered as such from the start. After the 5th Dalai Lama returned from China, on a teaching tour of Tsang he visited his senior tutor and close friend the elderly Panchen Lama at Tashilhunpo to receive lineage transmissions which he still lacked and at this point he requested the Panchen to accept Tashilhunpo Monastery, built by the 1st Dalai Lama, as his multi-lifetime seat for future incarnations. Since then, every incarnation of the Panchen Lama has been the master of Tashilhunpo Monastery and it is there that they have all received their education and their mummified bodies were enshrined. When Panchen Gyaltsen died in 1662 at 93, the 5th Dalai Lama immediately commenced the tradition of searching for his next incarnation. He composed a special prayer asking his master "to return" and directed the monks of Tibet's great monasteries to recite it. He also reserved the traditional title of Panchen (short for Pandita chen po "Great Scholar") – which had previously been a courtesy title for all exceptionally learned lamas – exclusively for the Panchen Lama and his successors (and, for those who consider him the 4th Panchen, for his three predecessors as well). He had also predicted that Gyaltsen would continue to be reincarnated in future as the 'Panchen Lama'. The two had a teacher/disciple relationship going back to the 1st Dalai Lama Gendun Drup and his teacher Khedrup Je, considered by some in retrospect as the 1st Panchen Lama. From the time of the 5th the two offices were known as Yab Sey Gonpo or "Father/Son Protectors" characterising their spiritual provenance as emanations of Amitābha and Avalokitesvara as well as their interchangeable guru/disciple relationship. This continued, lifetime after lifetime well into the 20th century with whichever was elder becoming the teacher of the younger, giving both monastic ordination and passing on tantric lineage transmissions. View of Potala from 5th Dalai Lama's private Lukhang temple, December, 2008. Although the 5th Dalai Lama, Lobsang Gyatso, completed all his formal monastic training as a Gelugpa, proving to be an exceptional scholar, he also studied Nyingmapa doctrines, and took Nyingma tantric empowerments. The great Geluk scholar Sumpa Khenpo acknowledged that Lobsang Gyatso took a special interest in Nyingma tantric doctrines. 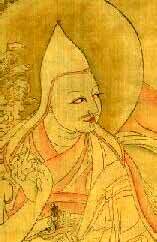 In fact, the Fifth Dalai Lama states in his autobiography that rather than the Panchen Lama or any other Geluk masters, the great Nyingma lama Zur Choying Rangdrol ‘the omniscient’ (kun mkhyen zur chos dbyings rang grol, 1604–1657) was his 'root guru', 'spiritual master' and his 'root master'. his military expeditions against Bhutan and the war against Ladakh. The Moghuls withdrew after being paid off by the 5th Dalai Lama. Although the Fifth Dalai Lama would ultimately come to be known for unifying Tibet, it was his first regent Sonam Choephel (1595-1657 CE, also known as Sonam Rabten, treasurer of Ganden) who was, in fact, "the prime architect of the Gelug's rise to power". The 5th Dalai Lama would eventually assume complete power – including that of appointing his regents. Sonam Choephel, the regent during the 5th Dalai Lama Lobsang Gyatso's youth, requested the aid of Güshi Khan, a powerful Dzungar military leader in carrying out a military strategy in the Dalai Lama's name, though apparently with neither Lobsang Gyatso's prior knowledge nor consent. Güshi Khan (who was head of the Khoshut tribe) conquered Kham in 1640 bringing the Sakyas and the lords of Kham and Amdo under their control. His victory over Karma Tenkyong, the prince of Tsang in Shigatse, in 1642, completed the military conquest of the country and the establishment of the Khoshut Khanate. By this feat the Phagmodrupa Dynasty, which was associated with a variant of the Kagyu school, was technically replaced; in actual fact it had been powerless for many years. By subsequently formally recognizing the Fifth Dalai Lama's authority in 1642, Güshi Khan effectively made Gyatso the temporal ruler of all Tibet. Güshi Khan maintained friendly and respectful relations with Lobsang Gyatso, but died in 1655, leaving ten sons. Eight of them (along with their tribes) settled in the strategically important Koko Nur region of Amdo, where they frequently fought over territory. The 5th Dalai Lama sent several governors to the region between 1656 and 1659 to restore order. Although Güshi Khan's descendents (who would come to be known as the Upper Mongols) showed little interest in the administration of Tibet, they did appoint a regent for a while to act on their behalf in Lhasa, and gradually assimilated certain aspects of Tibetan culture into their own. They would also come to play a crucial rôle in extending the influence of the Gelug school within Amdo. The 5th Dalai Lama tutored Galdan Boshugtu Khan who later became leader of the Dzungar Khanate and granted him the titles of Hongtaiji and Boshoghtu (or Boshughtu) Khan. The Dalai Lama also sanctioned Galdan Boshugtu Khan's invasion of the last remaining remnants of the Chagatai Khanate in the Dzungar conquest of Altishahr after Afaq Khoja requested help from the Dalai Lama over the power struggle between the Afaqi and Ishaqi Khojas. In a move distinctly evocative of Songtsen Gampo, Lobsang Gyatso once again proclaimed Lhasa to be the capital of Tibet. Assembling his government there, he "appointed governors to the districts, chose ministers for his government, and promulgated a set of laws". The young Dalai Lama also transformed his regent into a prime minister – or, as the Tibetans call him, the Desi. Administrative authority was vested in the person of the Desi, while military power remained the special domain of Güshi Khan, whom the 5th Dalai Lama acknowledged as king of the Dzungar Upper Mongols in Kokonor. The Potala from behind: July, 2005. The Fifth Dalai Lama began construction of the Potala Palace in 1645 after one of his spiritual advisors, Konchog Chophel (d. 1646), pointed out that the site would be an ideal seat of government, situated as it is between Drepung and Sera monasteries, and overlooking Songtsen Gampo's old capital city of Lhasa. The 5th Dalai Lama and his government moved into the Potrang Karpo – the White Palace – in 1649. The initial phase of construction continued until 1694, some twelve years after the 5th Dalai Lama's death, which was kept secret from the general public for that length of time. The Potrang Marpo – or Red Palace – was added between 1690 and 1694. The Fifth Dalai Lama formally institutionalized the Tibetan state oracle of Nechung. Lobsang Gyatso established Nechung Monastery as the seat of Tibet's state oracle by instituting Gyalpo Pehar as the protector of Tibet's newly consolidated Ganden Phodrang government. Nechung – which, translated literally, means "small place" – was a shrine dedicated to Pehar, located about ten minutes east on foot from Drepung monastery near Tibet's newly declared capital city of Lhasa. The rôle of the three-headed, six-armed Pehar as protector of Tibet can be traced back to at least the 8th century, when Pehar was oath-bound by Padmasambhava to act as chief among Tibet's protector's, with Dorje Drakden named his chief emissary. The 5th Dalai Lama also composed a generation stage practice and invocation of the protector entitled simply Dra-Yang-Ma (Melodic Chant), which was incorporated into the ritual cycles of Nechung Monastery, where it continues to be practiced, up to the present day. Nechung's rôle in warding off one interfering spirit in particular is quite extensively detailed in the 5th Dalai Lama's autobiography. Some contemporary scholars and the current 14th Dalai Lama would appear to agree: Lobsang Gyatso specifically states that a gyalpo (Tibetan: རྒྱལ་པོ་, Wylie: rgyal-po: a particular type of "very powerful, perfidious spirit") in the area of Dol Chumig Karmo had "...been harming the teaching of the Buddha and sentient beings in general and in particular" since at least the fire-bird year of 1657 (CE). The version of events which the 5th Dalai Lama relates is substantially corroborated by the account laid out in 1749 (CE) by Gelug historian Sumpa Khenpo (Tibetan: སུམ་པ་མཁན་པོ་ཡེ་ཤེས་དཔལ་འབྱོར་, Wylie: sum-pa mKhan-po ye-shes dpal-‘byor 1702–1788 CE). At any rate: confronted with the death of both people and cattle combined with harsh, unpredictable weather in an atmosphere of political intrigue and diplomatic insecurity, Gyatso undertook a specific course of action which might be considered somewhat unconventional, even for a religiously affiliated head of state. At the end of the earth-bird year of 1669 (CE), a special crypt was constructed, and offerings placed within it in hopes that it might serve as a home in which the disturbed spirit of Drakpa Gyaltsen – an iconoclastic tulku and rival scholar who had died under mysterious circumstances at a time of considerable political turmoil – might finally settle. Reportedly, though, the evil spirit's harmful activities only intensified, manifesting (in part) as atmospheric disturbances including hailstorms, but also causing both people and cattle to fall prey to disease. The deaths of some monks were attributed to the spirit as well – which was named "Dolgyal" by combining gyalpo with the ghost's place of residence. It was only later that Dolgyal would come to be identified with Dorje Shugden (Tibetan: རྡོ་རྗེ་ཤུགས་ལྡན་, Wylie: rDo-rje Shugs-ldan) through conflation with a much older Sakya protector of the same name associated with the remote Nepali village of Tsap. the Dalai Lamas' personal monastery (already known as Namgyal by that time). Thus invoking all of Tibet's dharma protectors – including Nechung – the 5th Dalai Lama charged them to "not support, protect, or give ... shelter" to Drakpa Gyaltsen in a formal promulgation which the current 14th Dalai Lama characterizes as "quite strongly worded". Recalling the events of that time later, the 5th Dalai Lama wrote that "...indirectly these creatures..." – Tibetan: འབྱུང་པོ་, Wylie: ‘byung-po means, roughly, "creature" or "evil spirit" – "...were delivered to the peaceful state of being, released from having to experience the intolerable suffering of bad states of rebirth due to their increasingly negative actions." But the unification of Tibet having occurred at least in part on account of scapegoating the departed spirit of a controversial but popular rival lama was not to be without eventual historic consequence. The growth of the 19th-Century nonsectarian Rime movement served in part to expose and exacerbate political tensions within the Gelug hierarchy as it had come to organize itself in the centuries following the 5th Dalai Lama's death. Some of his acts were subsequently misconstrued by certain conservative factions within the Gelug order as an "elevation" by Lobsang Gyatso of the dangerously volatile Dolgyal (by now, quite thoroughly conflated with the original Sakya protector named Shugden) to the status of Dharmapala – in other words: a particularly forceful emanation of a blissfully awakened buddha's enlightened activity and therefore basically an enlightened being, himself. The 13th Dalai Lama therefore sought to clarify his view about Dorje Shugden's status in his letter to Pabongkhapa Déchen Nyingpo, in which he identified Dorje Shugden as a "wrathful worldly spirit", the propitiation of which "contradicts the precepts of taking refuge". In reply, Phabongka (who is better remembered for his teachings on the graded stages of the path and reputation of conferring Kalachakra empowerments to large crowds of laypeople regardless of his having enthusiastically propitiated Shugden) acknowledged his "error". In the same letter, Phabongka said "...I have propitiated Shugden until now because my old mother told me that Shugden is the deity of my maternal lineage", thereby acknowledging Shugden practice's provincial and even familial (as well as Sakya) origins. The current 14th Dalai Lama, for his part, continues to maintain it was the Fifth's intent to appease the interfering spirit of the Gyalpo class from Dol Chumig Karmo – hence his insistence on using the name "Dolgyal" to disambiguate a practice he disrecommends from one of a protector of the Sakya school to which he's tied through prior incarnations. Due largely to the determined cunning of his first regent Sonam Chöphel and the military support of his Mongolian disciple Güsri Khan, in 1642 the 25-year-old 5th Dalai Lama Lobsang Gyatso inherited military and political control of a nation that had been torn by over a century of power struggles and civil war characterized by factionalism and sectarian allegiances. The general form of government he instituted would remain largely in place until Tibet's military occupation by the People's Republic of China in the 1950s. Nevertheless, Lobsang Gyatso's rule over Tibet included various incidents which, 350 years later, certain keen observers – namely, the heirs of those Kagyupa followers whose patrons lost power during unification or during the quelling of their subsequent rebellions – still consider to have been the abuse of government power. The Potala's white palace in Lhasa, the seat of Tibet's Ganden Phodrang government, built by the 5th Dalai Lama. In 1648, Tibetans loyal to the Gelug school reportedly joined Mongol forces in coercing monks of certain Kagyu and Bön institutions to embrace specifically Gelug doctrines. Modern Tibetans still differentiate between Bön and Buddhism in common parlance, calling members of the Nyingma, Sakya, Kagyu and Gelug schools nangpa (meaning "insider"), while referring to practitioners of Bön as bönpo. The Jonangpa order belongs to the Kagyupa group of schools, the 7th one to emerge. According to Snellgrove and Richardson, it was a difference in philosophy that caused a bitter schism to arise with the Gelugpa, however Samten Karmay maintains that the 5th Dalai Lama's negative attitude towards the Jonangpa was determined by political rather than philosophical or religious considerations. In any case, it was during Lobsang Gyatso's rule that Jonangpa institutions, teachings and followers were banished and moved out of central Tibet to be re-established in Amdo. 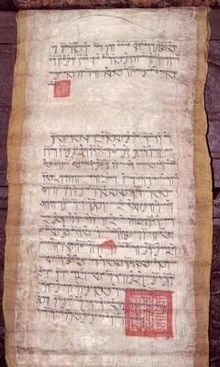 In 1650 the Jonangpa printing presses were officially sealed and teaching of their zhentong philosophical views was forbidden within central Tibet, indicating that the basis of the schism was more philosophical in nature. Then in 1658 the main Jonang monastery Takten Damchö Ling in Lhatse – which had been the monastic seat of the great Jonangpa exponent Taranatha (1575–1634) – was converted to a Gelug institution and renamed Phuntsok Choling. The Fifth Dalai Lama's Regent or Desi, Sonam Rapten was, in fact, a fanatical Gelugpa supremacist as well as a shrewd and canny political operator with an eye for the main chance. Being 22 years the Dalai Lama's senior he dominated him as he raised him from the age of 5. In his autobiography The Dukula the lama repeatedly remarks how he had to defer to the Desi, or had to do as he said, and even as an adult he rarely got his way if he disagreed with Sonam Rapten's wishes. In 1674, the 5th Dalai Lama met with 10th Karmapa (i.e., the specific tulku, or incarnate lama who heads the Karma Kagyu school) Chöying Dorje (1604–1674) at the Potala. This mutual gesture of "reconciliation" was reportedly "welcomed by both parties after the many conflicts and misunderstandings between 1612 and 1642". When the 5th Dalai Lama issued the edict to appoint Sangye Gyatso as his Desi in 1679, in the same edict he also recognised the Yungdrung Bön as Tibet’s native religion and describes it as being the "holder of secret mantras ". Stupa at Jomonang (U-Tsang, Lhatse, Tibet) completed in 1333 by Jonang founder Dolpopa (1292–1361). Courtesy Jonang Foundation © 2007. There are some fairly subtle philosophical differences between the Jonang and Gelug schools' respective zhentong and rangtong views on voidness. After moving to Amdo the school's distinct transmission lineages of both zhentong philosophy and Dro Kalachakra completion stage practices could be preserved and survived intact to this day. In late 2001, the current 14th Dalai Lama reportedly composed an "Aspiration Prayer for the Flourishing of the Jonang Teachings" entitled in Tibetan: ཇོ་ནང་པའི་བསྟན་རྒྱས་སྨོན་ལམ་, Wylie: Jo-nang pa'i bStan rGyas sMon-lam (which might be called quite strongly worded). The 5th Dalai Lama Ngawang Lobsang Gyatso established a centralized dual system of government under the Gyalwa Rinpoche (i.e., the institution of the Dalai Lama) which was divided equally between laymen and monks (both Gelugpa and Nyingmapa). This form of government, with few changes, survived up to modern times. He also revitalized the Lhasa Mönlam, the capital city's New Year Festival, which had originally been created by the reformer Je Tsongkhapa in 1409 (CE). It was under Gyatso's rule that the "rule of religion" was finally firmly established "even to the layman, to the nomad, or to the farmer in his fields". This was not the supremacy of the Gelug school over Bön, or over the other Buddhist schools, but "the dedication of an entire nation to a religious principle". Fifth Dalai Lama Ngawang Lobsang Gyatso was the first Dalai Lama to accept an invitation from an emperor of China to visit the Chinese capital city of Beijing. Three separate expeditions known from European sources to have visited Tibet did so during the 5th Dalai Lama's lifetime; and he met with members of the third of these. Qing dynasty painting of the 5th Dalai Lama meeting the Shunzhi Emperor in Beijing, 1653. The 5th Dalai Lama's official visit, as an independent head of state, to Beijing in 1653 should be understood in the context of the prior relationship which existed between China and Tibet. Earlier invitations to visit the Manchu court in Beijing had been turned down by both 3rd Dalai Lama Sonam Gyatso and 4th Dalai Lama Yonten Gyatso. Analyzing the Ming emperors' repeated invitations of Tibetan lamas from various schools, contemporary Buddhist scholar Alexander Berzin says that "requests by the Ming emperors for Tibetan lamas to visit China and the freedom the lamas exercised in responding to these requests, characterize the Sino Tibetan relationship at this time as one of mutual independence." Fifth Dalai Lama Lobsang Gyatso established diplomatic relations with the second emperor of the Qing dynasty, accepting the Shunzhi Emperor's 1649 invitation. The Shunzhi Emperor invited him to Beijing instead of Mongolia, following the advice of his Han advisors over the suggestion by his Manchu advisors. The 5th Dalai Lama set out from Lhasa in 1652 accompanied by 3,000 men. The journey to Beijing took nine months. Lobsang Gyatso and his entourage spent two months in the yellow palace which had been especially constructed by the emperor in order to house him. The Shunzhi Emperor, who was only 14 years old (13 by Western reckoning) at the time, first met the Dalai Lama in January 1653, honouring him with two grand imperial receptions. Some historians claim that the emperor treated the Dalai Lama as an equal while others dispute this claim. The emperor gave Gyatso a parting gift of an elaborate gold seal reading "Dalai Lama, Overseer of the Buddhist Faith on Earth Under the Great Benevolent Self-subsisting Buddha of the Western Paradise". However the Fifth Dalai Lama did not accept it. He wrote that after he left Beijing on his way back to Tibet, "the emperor made his men bring a golden seal for me" but "The Tibetan version of the inscription of the seal was translated by a Mongolian translator but was not a good translation." Furthermore, when he arrived back in Tibet, he discarded the emperor's famous golden seal and made a new one for important Tibetan state usage, writing in his autobiography: "Leaving out the Chinese characters that were on the seal given by the emperor, a new seal was carved for stamping documents that dealt with territorial issues. The first imprint of the seal was offered with prayers to the image of Lokeshvara ...". "Just a few days before his departure for Tibet, a gold seal with a gold plaque engraved with a decree were hastily sent to him from Peking. The imperial functionaries had not dared present the seal in front of the Emperor to the Dalai Lama while he was officially visiting Peking as head of state of a foreign country. Since the seal was offered to the Dalai Lama with no particular form of protocol, he attached little importance to it. He simply remarks in his autobiography that the Tibetan translation of the title engraved on the seal was very poor. The seal, however, is currently exploited by the Chinese authorities for propaganda purposes to justify their policy towards Tibet." The White Dagoba at Beihai Park was constructed to honour his visit. The first documented Europeans to arrive in Tibet may have been the Portuguese Jesuit missionaries, António de Andrade and Manuel Marques who did so in either July or August 1624, when the 5th Dalai Lama would have been about seven or eight years old. While the first two Jesuit mission churches to be established in Tibet followed in direct result of Andrade and Marques' 1624 visit, neither would remain to see the 1642 enthronement of 5th Dalai Lama Lobsang Gyatso at Samdruptse castle in Shigatse as the temporal ruler of Tibet. Andrade and Marques were reportedly welcomed warmly by the King and Queen of Guge, becoming the first documented Europeans to enter Tibet. Staying in Tibet for only a month, Andrade and Marques would return to Agra, India by November 1624 to organize a mission trip for the following year. In 1625, with the full support of the King and Queen of Guge, Andrade and Marques established a permanent mission at Tsaparang, in the Garuda Valley of western Tibet's Ngari region. On Andrade's advice, a second Jesuit mission was dispatched to southern Tibet from India in 1627. The Portuguese missionaries João Cabral and Estêvão Cacella were reportedly welcomed at Shigatse by the King of Ü-Tsang, and Cabral and Cacella established their mission there in 1628. 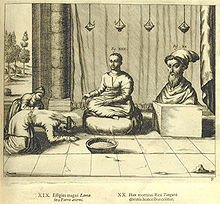 Cabral and Cacella provided the first information to reach the West about the mystical country of Shambhala (which they transcribed as "Xembala") in their reports back to India. Both of the Portuguese missions were evacuated in 1635 after becoming embroiled in the power struggles for control of Tibet at that time. It would be twenty-five years before the next documented Europeans visited Tibet. The first Europeans to meet a Dalai Lama were probably the two Jesuits, Johannes Grueber of Austria and Albert Dorville (D’Orville). In 1661, Grueber and D'orville traveled through Lhasa on their way from Peking to Agra, India on an Imperial Passport. It is this expedition from which Dutch publisher Athanasius Kircher's 1667 engraving in China Illustrata (purported to depict 5th Dalai Lama Lobsang Gyatso) is derived, based on expedition journals and charts left to him by Grueber. Statue portrait of 5th Dalai Lama. Mongolia, 19th century. The death of the Fifth Dalai Lama in 1682 at the age of 65 was kept hidden until 1696, by Desi Sangye Gyatso, his Prime Minister and, according to persistent rumours, his son, whom he had appointed in 1679. 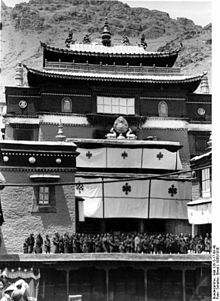 This was done so that the Potala Palace could be finished and to prevent Tibet's neighbors taking advantage of an interregnum in the succession of the Dalai Lamas. Desi Sangay Gyatso also served as regent until the assumption of power by the Sixth Dalai Lama. "In order to complete the Potala Palace, Desi Sangye Gyatso carried out the wishes of the Fifth Dalai Lama and kept his death a secret for fifteen years. People were told that the Great Fifth was continuing his long retreat. Meals were taken to his chamber and on important occasions the Dalai Lama's ceremonial gown was placed on the throne. However, when Mongol princes insisted on having an audience, an old monk called Depa Deyab of Namgyal monastery, who resembled the Dalai Lama, was hired to pose in his place. He wore a hat and an eye shade to conceal the fact that he lacked the Dalai Lama's piercing eyes. The Desi managed to maintain this charade till he heard that a boy in Mon exhibited remarkable abilities. He sent his trusted attendants to the area and, in 1688, the boy [the future 6th Dalai Lama] was brought to Nankartse near lake Yardog Yutsho in the south. There he was educated by teachers appointed by the Desi until 1697...."
In 17th-century Tibet, after centuries of bitter rivalry the Gelug superseded the older sects as the country’s pre-eminent religious-political power. Bitterness and controversial accusations from heirs of older sects, who lost power and prestige, still persist today. Lobsang Gyatso was a prolific writer and respected scholar, who wrote in a free style which allowed him to frankly – and sometimes, ironically – express his own deepest feelings and independent interpretations. His canonical works total 24 volumes, in all. 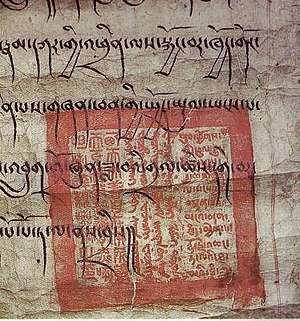 Legal document showing traditional application of two of the 5th Dalai Lama's official seals, 1676 (CE). The official Tsawa Kachu of the Ganden Palace showed me statues and rosaries (that belonged to the Fourth Dalai Lama and other lamas), but I was unable to distinguish between them! When he left the room I heard him tell the people outside that I had successfully passed the tests. Later, when he became my tutor, he would often admonish me and say: "You must work hard, since you were unable to recognize the objects!" Despite what he wrote above himself later in life, three different English-language histories attest that he was subjected to an earlier object-recognition test, in 1619, when Sonam Rapten, the Chandzeu, went to his family home at Chonggye in great secrecy (since the king had banned the search for the Trulku) to confirm information he had received about the boy. He took with him a number of the late Yonten Gyatsho’s personal belongings (specifically, the Fourth Dalai Lama's personal samta boards, vajra, bell and porcelain bowls all mixed with identical items belonging to others) to submit the less-than two year old candidate to a private recognition test, presumably in front of his family, which the boy passed without any difficulty. It is supposed that everyone present was sworn to secrecy, and that the Dalai Lama did not refer to this test in his autobiography because it occurred when he was not more than two years old and he would have forgotten about it. This autobiography has been a rich source of information for research on this period of Tibetan history by scholars and writers. ‘Dukula’ affords a detailed and objective account of daily events in the author’s life which permits the reader to envision a panoramic view of Lhasan and Tibetan society through most of the 17th century. By 1681 Lobsang Gyatso personally wrote three volumes and his last Regent Desi Sangye Gyatso added another two after his master's death in 1682. These 5 volumes “represent the most important – in both size and content – document of Tibetan autobiographical literature in existence, since they include the memories of two of the greatest statesmen of Tibet”. He also wrote in his autobiography that "When I finished the Oral teachings of Manjushri [in 1658], I had to leave the ranks of the Gelug. Today [in 1674], having completed the Oral teachings of the Knowledge-holders, I will probably have to withdraw from the Nyingma ranks as well!" The 5th Dalai Lama "enthusiastically" wrote a detailed history of Tibet at the request of Güshi Khan in 1643. ^ Sperling refers to the conflict with Tsangpa Desi in 1638/39, and the Mongol Gusri Qan's military intervention in 1640/41; and to a rebellion in Tsang in early 1660. With respect to the 1660 rebellion, Sperling quotes an invocative prayer by the 5th Dalai Lama, which he interprets as "a clear determination to unleash severe military retribution against those who had risen against his authority." In fact, the passage quoted was merely an invocation prayer to a spirit to subdue two treasonous Gelugpa officers, Depa Norbu and Gonashakpa Ngodrub, who had absconded from their posts in Lhasa, seized the castle at Shigatse and tried to foment a rebellion. After the Tibetan translator of the 5th Dalai Lama's autobiography Samten Karmay confirmed the correct context in 2016, Sperling admitted his mistake and added a note to 'Note 5' of his essay to explain. The note says: "Note by Elliot Sperling, Feb. 4, 2016: “Rather than indicating military action, as the original article mistakenly implied, the missive from the 5th Dalai Lama was addressed to a protector deity and sought the punishments that are mentioned therein via divine means. I’m grateful to Samten Karmay for pointing this out and to Sean Jones for spurring further inquiry. ES”"
^ a b c d e Gyatso, Tenzin. "The Dalai Lamas". Dharamsala, India: Office of His Holiness the Dalai Lama. Archived from the original on 2 February 2013. Retrieved 29 January 2013. ^ a b Berzin, Alexander (1996). "The History of the Early Period of Buddhism and Bon in Tibet". The Historical Interaction between the Buddhist and Islamic Cultures before the Mongol Empire. Study Buddhism. Retrieved 16 June 2016. With Tibet conceived as a demoness lying on her back and locations for the temples carefully selected according to the rules of Chinese acupuncture applied to the body of the demoness, Songtsen-gampo hoped to neutralize any opposition to his rule from local malevolent spirits. Of the thirteen Buddhist temples, the major one was constructed eighty miles from the imperial capital, at the site that later became known as "Lhasa" (Lha-sa, The Place of the Gods). At the time, it was called "Rasa" (Ra-sa, The Place of the Goats). Western scholars speculate that the Emperor was persuaded to avoid building the temple at the capital so as not to offend the traditional gods. ^ Shakabpa 2010, p.327 et seq. ^ Berzin, Alexander. "A Survey of Tibetan History, Chapter 4". Reading notes taken by Alexander Berzin from Tsepon, W. D. Shakabpa, Tibet: A Political History. New Haven, Yale University Press, 1967. Retrieved 16 June 2016. Dragpa-gyeltsen died in 1432, and the ensuing conflict between his nephews for control of Sakya signaled, in 1434, the beginning of the collapse of the Pagmodru hegemony. This year marked the end of the peaceful period in Central Tibet that had started during the reign of Jangchub-gyeltsen. It was followed by a century-long power struggle between the Pagmodru faction, backed by the Gelugpas, in U Province and the Rinpung faction, backed by the Karma Kagyupas, in Tsang Province. Under the Pagmodru Prime Minister Dragpa-gyeltsen, Namka-gyeltsen (Nam-mkha’ rgyal-mtshan) had administered the Rinpung and Sakya districts in the Tsang Province of Central Tibet. As was customary, he took the family name Rinpung (Rin-spungs). In 1435, the Rinpung family conquered Shigatse (gZhis-ka-rtse), also in Tsang Province, under the leadership of Dondrub-dorjey (Don-grub rdo-rje). Eventually, much of Tsang allied with the Rinpung family. ^ Berzin, Alexander. "A Survey of Tibetan History: Chapter 4". Reading notes taken by Alexander Berzin from Tsepon, W. D. Shakabpa, Tibet: A Political History. New Haven, Yale University Press, 1967. Berlin, Germany. Retrieved 16 June 2016. The Tumed Mongols ruled in the Ordos region of what later became 'Inner Mongolia.' They gradually extended their domain into northeastern Amdo, since the local Tibetan overlords were involved in squabbles among themselves. Meanwhile, in Central Tibet, the Rinpung rulers continued in power in Tsang. In 1548, the Rinpung Prime Minister Ngawang Namgyel appointed Tseten Dorje as Governor of Tsang at Shigatse. Starting in 1557, Tseten Dorje rebelled against the Rinpung authorities, overthrowing them and declaring himself King of Tsang in 1565. Gradually, he took over most of Tsang and eventually U as well. Thus began the Tsang hegemony. ^ Tseten, Dorjee (March–April 1995). "Tibetan Art of Divination". Tibetan Bulletin. The Office of Tibet. Archived from the original on 2008-05-04. Retrieved 2012-01-28. Doughball Divination: This method is practised mainly in the monasteries or by individual lamas when an important decisions needs to be made, such as in the search for the reincarnation of very high lamas. A number of possible answers to the enquiry, such as the names of likely candidates for a reincarnation, are written on slips of paper. These are then encased in equal sized balls of dough. Great care is taken to weigh the dough balls to ensure that they are exactly the same size. The doughballs are then placed in a bowl, which is carefully sealed and placed in front of a sacred object, such as the Jowo statue in the main temple in Lhasa, images of Dharma protectors or the funerary monuments of great lamas, requesting their inspiration in deciding the outcome. For a period of three days monks remain in the temple reciting prayers day and night. During that time no one is allowed to touch the bowl. On the fourth day, before all those present the cover of the bowl is removed. A prominent lama rolls the doughballs round in the bowl before the sacred object until one of them falls out. That is the ball containing the answer. ^ a b Tibet is My Country: Autobiography of Thubten Jigme Norbu, Brother of the Dalai Lama as told to Heinrich Harrer, p. 121. First published in German in 1960. English translation by Edward Fitzgerald, published 1960. Reprint, with updated new chapter, (1986): Wisdom Publications, London. ISBN 0-86171-045-2. ^ a b c Tibet is My Country: Autobiography of Thubten Jigme Norbu, Brother of the Dalai Lama as told to Heinrich Harrer, p. 249. English translation by Edward Fitzgerald, published 1960. Reprint, with updated new chapter, (1986): Wisdom Publications, London. ISBN 0-86171-045-2. ^ Stein, R. A. (1972). Tibetan Civilization, pp. 171–172. Stanford University Press, Stanford California. ISBN 0-8047-0806-1 (cloth); ISBN 0-8047-0901-7 (paper). ^ Johan Elverskog (6 June 2011). Buddhism and Islam on the Silk Road. University of Pennsylvania Press. pp. 223–. ISBN 0-8122-0531-6. ^ Laird, Thomas. (2006). The Story of Tibet: Conversations with the Dalai Lama, pp. 158–162. Grove Press, New York. ISBN 978-0-8021-1827-1. ^ Laird, Thomas. (2006). The Story of Tibet: Conversations with the Dalai Lama, p. 161. Grove Press, New York. ISBN 978-0-8021-1827-1. ^ Laird, Thomas. (2006). The Story of Tibet: Conversations with the Dalai Lama, pp. 175. Grove Press, New York. ISBN 978-0-8021-1827-1. ^ a b Stein, R. A. Tibetan Civilization (1962). Translated into English with minor revisions by the author. 1st English edition by Faber & Faber, London (1972). Reprint: Stanford University Press (1972), p. 84. ^ a b The Dalai Lamas of Tibet, pp. 93–94. Thubten Samphel and Tendar. Roli & Janssen, New Delhi. (2004). ISBN 81-7436-085-9. ^ Prince Peter of Greece and Denmark. (1979). "Tibetan Oracles." The Tibet Journal, Vol. IV, No. 2, Summer 1979, p. 52. ^ "Nechung Temple – Nechung Monastery". Nechung.org. Retrieved 2013-01-25. ^ a b c d e Gyatso, Ngawang Lobsang (1682). Autobiography: Dukulai Gosang (Wylie: Du-ku La'i gos-bzang, Autobiography) (pecha) (in Tibetan) (Lhasa ed.). Kha (Vol. II.). pp. Folio 157. ^ a b c Gyatso, Tenzin (October 1997). "Concerning Dolgyal with Reference to the Views of Past Masters and Other Related Matters". Dharamsala, India: Office of His Holiness, the Fourteenth Dalai Lama of Tibet. Archived from the original on 2009-12-15. Retrieved 23 January 2013. ^ a b Dreyfus, Georges (1999). "The Shugden Affair: Origins of a Controversy. Part I." Williams College. Archived from the original on 16 January 2013. Retrieved 23 January 2013. ^ Mumford, Stan Royal (1989). Himalayan Dialogue: Tibetan Lamas and Gurung Shamans in Nepal (illustrated ed.). Madison, WI: University of Wisconsin Press. p. 264. ISBN 978-0-299-11984-3. Retrieved 23 January 2013. Protect the Dharma in general, and in particular the Sakyapas. I praise you, who have agreed to be the Srungma of the Sakyapas. ^ Dreyfus, Georges (1999). "The Shugden Affair: Origins of a Controversy. Part I." cf. n. 30: Williams College. p. 13. Archived from the original on 16 January 2013. Retrieved 23 January 2013. The regional connection with Southern Tibet and the sectarian link with the Sa‐gya tradition are further confirmed by Stanley Mumford’s anthropological description of the propitiation of Shuk‐den in the Himalayan region. In his study of the religious life in the remote village of Tsap in Nepal, Mumford describes the practice of Shuk‐den as a Sa‐gya practice well established among the Tibetans of the region. In a small text used for this practice Shuk‐den is presented as a worldly protector in charge of bestowing wealth, food, life and good fortune, of protecting the dharma, preventing its destruction, and of repelling the external and internal enemies of the ten regions. Finally, Shuk‐den is invoked as a special protector of the Sa‐gya tradition: 'Protect the dharma in general, and in particular the Sakyapas. I praise you, who have agreed to be the Srungma of the Sakyapas'. ^ a b McCune, Lindsay G. (30 March 2007). "Tales of Intrigue from Tibet's Holy City: the Historical Underpinnings of a Modern Buddhist Crisis" (PDF). Master's Thesis. College of Arts & Sciences; Department of Religion; 600 W. College Ave.; Tallahassee, FL 32306; United States: Florida State University. Archived from the original (PDF) on 14 February 2012. Retrieved 25 January 2013. ^ Gyatso, Tenzin (October 1997). "Concerning Dolgyal with Reference to the Views of Past Masters and Other Matters". Archived from the original on 2009-12-15. Retrieved 23 January 2013. The so-called Drakpa Gyaltsen pretends to be a sublime being, even though he is not, \ And since this interfering spirit and creature of distorted prayers Is harming everything – both the dharma and sentient beings – \ Do not support, protect or give him shelter, but grind him to dust. \ Having agreed before the root and lineage lama Vajra Dharas \ To increase what is good and beneficial to sentient beings and the dharma, \ If you protect this perfidious spirit, \ Will you not cause your own past pledges to degenerate? \ There are groups of interfering spirits who display inopportune miracles In the form of human sickness, cattle disease, hailstorms, famine and drought. May their power and ability \ Their body, speech and mind be smashed into tiny particles. ^ a b Dreyfus, Georges (1999). "The Shugden Affair: Origin of a Controversy, Part II". Williams College. Archived from the original on 16 January 2013. Retrieved 23 January 2013. ^ Gyatso, Tenzin. "Dolgyal (Shugden)". Office of His Holiness the Dalai Lama. Retrieved 23 January 2013. ^ Gyatso, Tenzin. "Historical References". Office of His Holiness the Dalai Lama. Retrieved 23 January 2013. ^ Laird, Thomas. (2006). The Story of Tibet: Conversations with the Dalai Lama, p. 165. Grove Press, New York. ISBN 978-0-8021-1827-1. ^ "Bon Children's Home In Dolanji and Polish Aid Foundation For Children of Tibet – NYATRI." ^ "The Living Tradition". Cambridge, MA: Jonang Foundation. Retrieved 29 January 2013. In the year 1650, the 5th Dalai Lama sealed and banned the study of zhentong, prohibiting the printing of Jonang zhentong texts throughout Tibet. 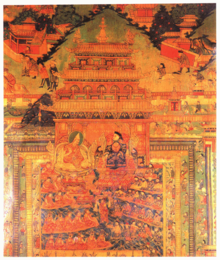 Then in 1658, the 5th Dalai Lama forcibly converted Jonang Takten Damcho Ling (Phuntsok Choling) Monastery into a Geluk Monastery — officially initiating the demise of the Jonangpa in U-Tsang. Although the sphere of Geluk political and military influence reached to the borders of Central Tibet, it did not penetrate the far northeastern domain of Amdo, Tibet. Here, in the remote valleys and vast countrysides of the Dzamthang, Golok and Ngawa regions, the Jonangpa took refuge and made their home. ^ Hugh Richardson (1998). High Peaks, Pure Earth, Collected Writings on Tibetan History and Culture. Chicago: Serindia Publications. p. 444. ISBN 0906026466. ^ Berzin, Alexander (April 2006). "Brief Survey of Self-Voidness and Other-Voidness Views". Morelia, Mexico: Study Buddhism. Retrieved 16 June 2016. I’ve been asked today to speak a little bit about the two views of voidness, rangtong (rang-stong) and zhentong (gzhan-stong) in Tibetan – that’s self-voidness and other-voidness. Self-voidness is short for voidness of a self-establishing nature. Whereas other-voidness is short for voidness of other tainted factors, let’s call them, which is referring primarily to other levels of mind. ^ "Jonang Transmission Lineages". Cambridge, MA; United States: Jonang Foundation. Retrieved 29 January 2013. Since the Tibetan yogi Kunpang Thukje Tsondru (1243–1313) synthesized 17 transmission lines of the Kalachakra in the mid-13th century, the Jonang tradition has specialized in this unique tantra, its philosophical and cosmological thought, and the ritual life associated with the tantra. According to tradition, in a simultaneous and parallel continuum from the historical Buddha and then on through Maitreyanatha and his disciples is the Great Madhyamaka (dbu ma chen po) meditative tradition and system of sutra zhentong ("shentong," gzhan stong). Synthesizing sutra and tantra, the Jonang luminary Kunkhyen Dolpopa Sherab Gyaltsen (1292–1361) brought these seemingly disparate systems of Indian Buddhist thought together, intersecting the Kalachakra transmission lineages with the Zhentong Great Madhyamaka. Interpreting sutras by means of tantras and vice versa, Dolpopa's interfusion of the technical tantric vocabulary found within the Kalachakra Tantra with the philosophical language and thinking of Great Madhyamaka consequently redefined the contemplative, intellectual, and literary heritage of the Jonang. ^ Gyatso, Tenzin (23 November 2001). "An Aspiration Prayer for the Flourishing of the Jonang Teachings" (PDF) (in Tibetan and English). Translated by Sheehy, Michael R. Cambridge, MA; United States: Jonang Foundation. Archived from the original (PDF) on 25 April 2013. Retrieved 29 January 2013. The timelessly ultimate residing, stable, enduring \ Enlightened essence is the indivisible ground and fruition. \ This is the way elucidated in the Essence Sutras and the meaning beheld by Nagarjuna. \ May the teachings of the Jonang flourish! \\ Your Middle Way zhentong view of the sutras \ And your practice of the Six Yogas which unfolds the meaning of the tantras \ Are great traditions of explanation that activate the actual dimension of reality. \ May the teachings of the Jonang flourish! \\ Through the great blessings of the sources of refuge, the victor and the victor's children, \ Through the power of the unalterable ultimate nature of reality, \ Through the force of divine virtue, and through our devotion, \ May this aspiration prayer be fulfilled accordingly! ^ Berzin, Alexander (December 2003). "Life of Tsongkhapa". Munich, Germany: Study Buddhism. Retrieved 16 June 2016. Then in the year 1409, at the age of 52, he started the Monlam Great Prayer Festival (sMon-lam chen-mo) in Lhasa at the Jokang. All the monks from all the different monasteries and traditions come together for a great session of prayers, and practice, and—bringing everybody together. Very important. ^ Tibet is My Country: Autobiography of Thubten Jigme Norbu, Brother of the Dalai Lama as told to Heinrich Harrer, p. 247. English translation by Edward Fitzgerald, published 1960. Reprint, with updated new chapter, (1986): Wisdom Publications, London. ISBN 0-86171-045-2. ^ Bryant, Barry (1992). The Wheel of Time Sand Mandala: Visual Scripture of Tibetan Buddhism (2003 1st U.S. ed.). Ithaca, NY, United States: Snow Lion Publications. pp. 96–100. ISBN 1-55939-187-1. ^ a b Berzin, Alexander. "A Survey of Tibetan History". Reading notes taken by Alexander Berzin from Tsepon, W. D. Shakabpa, Tibet: A Political History. New Haven, Yale University Press, 1967. Berlin, Germany: Study Buddhism. Retrieved 16 June 2016. The Ming policy that evolved was to grant titles and lavish gifts to any leading lamas who would accept an invitation to China, regardless of their school affiliation. According to Turrell Wylie ('Lama Tribute in the Ming Dynasty' in Tibetan Studies in Honour of Hugh Richardson), this policy was intended to fragment the Tibetan lamas by rewarding all of them and discouraging any special lama-patron relationship. The aim was to woo the Tibetans away from forming any further alliance with the Mongols. ^ Hevia 1995, pp. 43–44. ^ Laird, Thomas. (2006). The Story of Tibet: Conversations with the Dalai Lama, pp. 170–174. Grove Press, New York. ISBN 978-0-8021-1827-1. ^ Grunfeld, A. Tom, The Making of Modern Tibet, p. 42, reads in part "Both (Tibetan and Chinese) accounts agree that the Dalai Lama was exempt from the traditional kowtow symbolizing total subservience; he was, however, required to kneel before the emperor." ^ Bernbaum, Edwin. (1980). The Way to Shambhala, pp. 18–19. Reprint: (1989). Jeremy P. Tarcher, Inc., Los Angeles. ISBN 0-87477-518-3. ^ Grueber, Johann (1667). China Illustrata (1st ed.). Amsterdam: Athanasius Kircher. pp. 64–67. ^ Grueber, Johann (1670). China Illustrata (in French) (2nd ed.). Amsterdam: Athanasius Kircher. ^ Laird, Thomas. (2006). The Story of Tibet: Conversations with the Dalai Lama, pp. 181–182. Grove Press, New York. ISBN 978-0-8021-1827-1. ^ Elliot Sperling (1996), "Orientalism and Aspects of Violence in the Tibetan Tradition". In: Thierry Dodin, Heinz Räther (eds. )(1996), Imagining Tibet. ^ "'Orientalism' and Aspects of Violence in the Tibetan Tradition by Elliot Sperling". info-buddhism.com. ^ "Tukdrup Yang Nying Kundü". Rigpa Shedra. Retrieved 30 December 2012. Tukdrup Yang Nying Kundü (Wyl. thugs sgrub yang snying kun 'dus) 'The Union of All the Innermost Essences' – Sadhana of Guru Rinpoche and his eight manifestations from the Sangwa Gyachen cycle of pure visions of the Great Fifth Dalai Lama. The sadhana and empowerment texts were arranged by Jamyang Khyentse Wangpo. ^ "Eight Manifestations". Rigpa Shedra. Retrieved 30 December 2012. The Eight Manifestations of Guru Rinpoche .... are the eight principal forms assumed by Guru Rinpoche at different points in his life .... The Eight Manifestations of Padmasambhava do not depict different Padmasambhavas, but reflect his ability to appear according to different needs and demands. In fact, they are called in Tibetan Guru Tsen Gyé, the eight 'names' of the Guru; each manifestation demonstrates a different principle that unveils the innermost nature of mind. As Guru Rinpoche said: "Mind itself is Padmasambhava; there is no practice or meditation apart from that." ^ "Pure Vision". Rigpa Shedra. Retrieved 30 December 2012. Pure vision or visionary revelations .... are teachings received by masters directly from deities or gurus, in experiences or in dreams. More specifically, in the Nyingma tradition, pure vision teachings are one of the three main transmissions (Wyl. babs so), as well as one of the seven authoritative transmissions (Tib. བཀའ་བབས་བདུན་, Wyl. bka' babs bdun) received by Jamyang Khyentse Wangpo and Chokgyur Dechen Lingpa. ^ "Sangwa Gyachen". Rigpa Shedra. Retrieved 30 December 2012. Sangwa Gyachen .... 'Bearing the Seal of Secrecy' – visionary teachings of the Great Fifth Dalai Lama, composed of twenty-five sections dealing with distinct visions, including the Tukdrup Yang Nying Kundü. Karmay, Samten G. (1988, reprint 1998). Secret Visions of the Fifth Dalai Lama. London: Serindia Publications, Some additional information. ISBN 0906026202. Karmay, Samten G. (1998). The Fifth Dalai Lama and his Reunification of Tibet. Chapter 29 of: The Arrow and the Spindle, Studies in History, Myths, Rituals and Beliefs in Tibet. Revised edition 2009. Kathmandu, Nepal, Mandala Book Point. ISBN 9789994655106. Karmay, Samten G. (2005, reprint edition 2014). The Arrow and the Spindle, Studies in History, Myths, Rituals and Beliefs in Tibet. Volume II. Kathmandu, Nepal, Mandala Book Point. ISBN 999331028X. Karmay, Samten G. (2005). The Great Fifth – International Institute of Asian Studies, Leiden, Netherlands; Newsletter #39 Winter 2005, pp. 12–13. Mullin, Glenn H. (2001). The Fourteen Dalai Lamas: A Sacred Legacy of Reincarnation, pp. 184–237. Clear Light Publishers. Santa Fe, New Mexico. ISBN 1-57416-092-3. Practice of Emptiness: The Perfection of Wisdom Chapter of the Fifth Dalai Lama's "Sacred Word of Manjushri". (1974) Translated by Jeffrey Hopkins with instruction from Geshe Rapden. Library of Tibetan Works and Archives. Dharamsala, H.P., India. Wikimedia Commons has media related to Lozang Gyatso, 5th Dalai Lama. Gold Seal of the 5th Dalai Lama given to him by the Shunzhi Emperor in 1653, on Chinese website (in German).